As explained in part one,Bravr CEO Shahin Fard is building a custom PC. 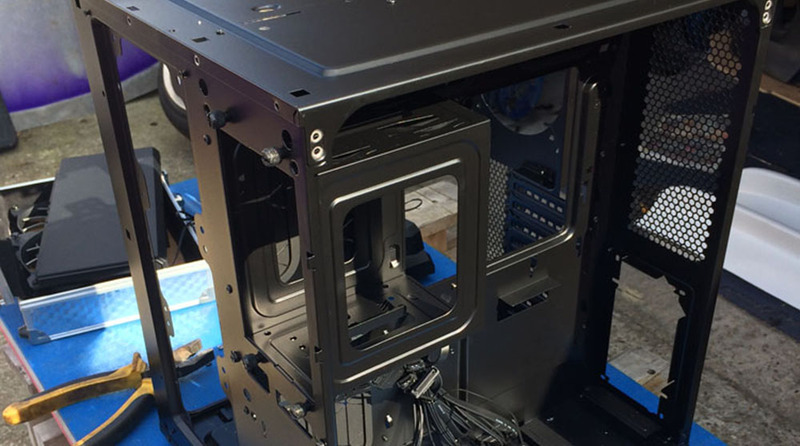 In part two, he explores his choice of case and what this will mean for the build. I received delivery of the Corsair Carbide Air 540 case today. The case was under £100 and came very well packaged. It is powder-coated matt black and an exceptionally well thought out case. Unlike tradiational ATX cases, the Carbide is wider. This means things like the Power Supply Units (PSU), cables, 5.25 inch drives can be hidden behind the motherboard in a second compartment. It should also mean an exceptionally neat installation of the watercooling tubing. Some ATX cases are so tall, they do not fit under a desk, so the Carbide uses width, rather than height to make room for components. It’s not the first ever wide style case, but it is definitely more cost effective than some of its competitors. The case is engineered for watercooling, supporting different size radiators, 120mm or 140mm fans and a nice window to show off neat pipe work. The next step is to strip the case into pieces. This will mean drilling out all of the pop rivets to separate the panels. We’ll then use bolts and nuts to put the case back together. Watch out for part 3 where I will explore the next step – painting the case. We’ve decided on a colour scheme of Candy Red + Matt black. So ordered half a litre from Specialist Paints We’ll do the necessary modifications to the case, and test fit all the items before painting to avoid scratching the paint when fitting items.